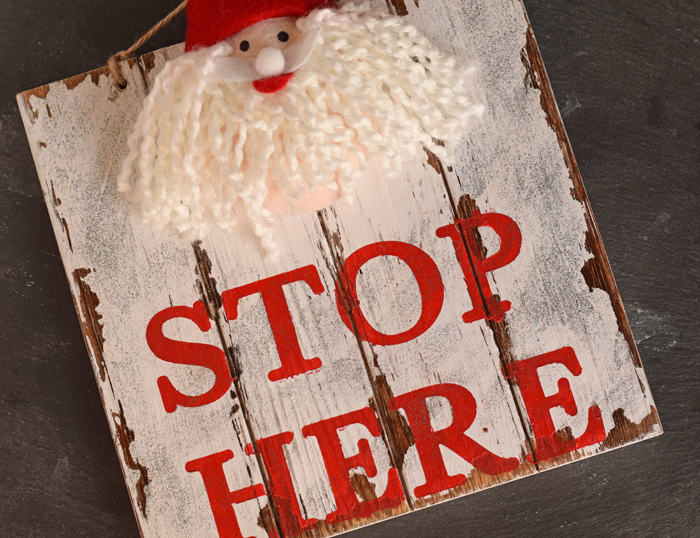 Make a sign to welcome Santa to your home this year. 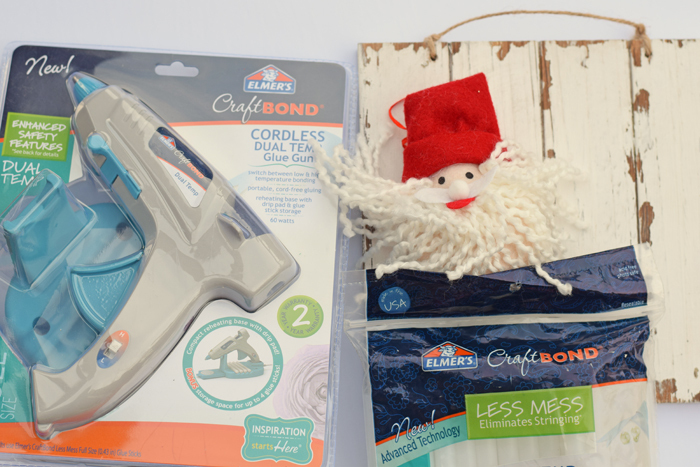 Thank you to Elmer’s Products for sponsoring today’s crafty DIY Santa Stop Here Sign. This year, my daughter has mentioned a few times how she’s not sure if she’s on the nice list. For anyone who personally knows my daughter, then you know that this is far from the truth! She is a genuinely kind person who does great in school and displays more patience with her triplet brothers than I ever could have at her age. But she’s a Type A, first-born to the max, so her worrying comes honest! 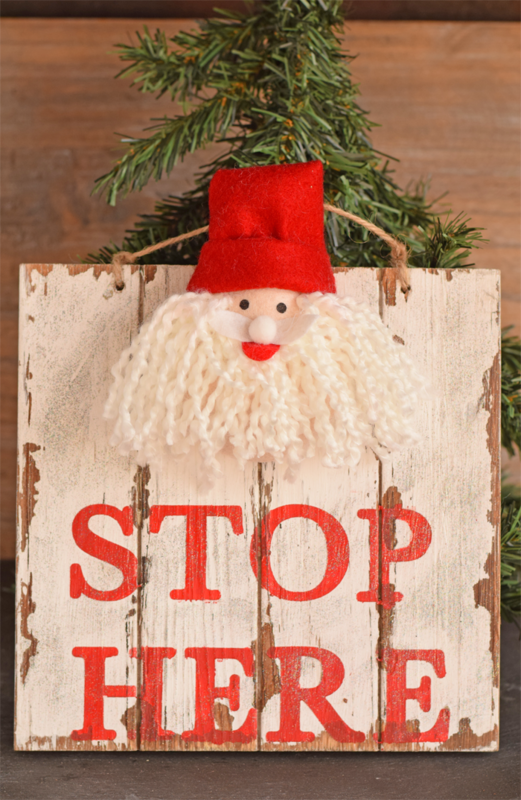 I decided to make a Santa Stop Here sign for her to put out next to the cookies as a reminder to Santa that we do have at least one good kiddo in the house and for him to stop for a visit. 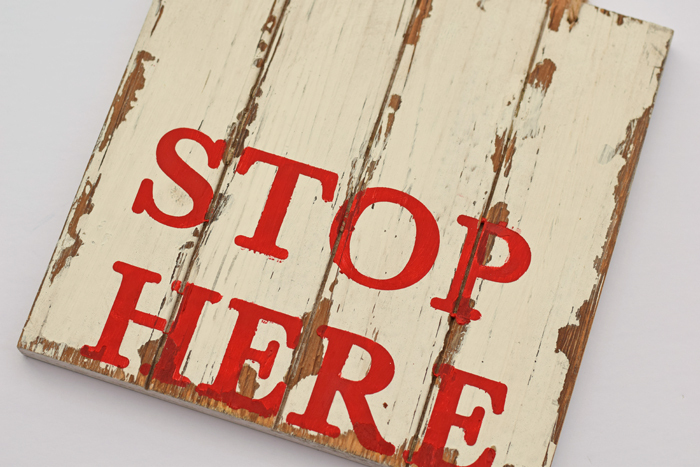 Depending on the craft medium, either apply the vinyl letters or paint the letters on the bottom half of the wooden sign. I’m using a vinyl stencil that I made with my Cricut machine. If you have a Cricut machine, my font is Cake Basics. If painting the letters, let them dry completely. 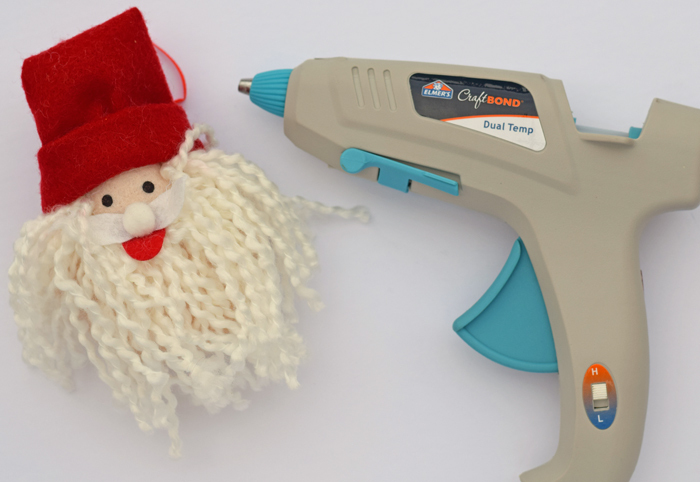 Apply a hefty amount of Elmer’s hot glue to the back of the Santa ornament. 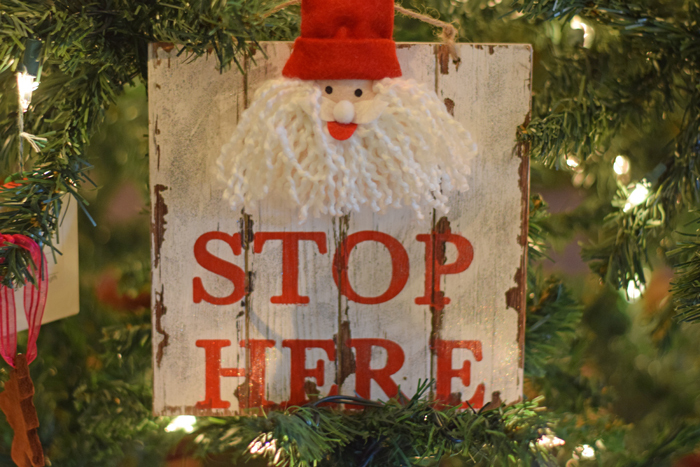 Press the Santa ornament to the top of the wooden sign. Let the glue dry completely. Cut off the ornament hanger on Santa. 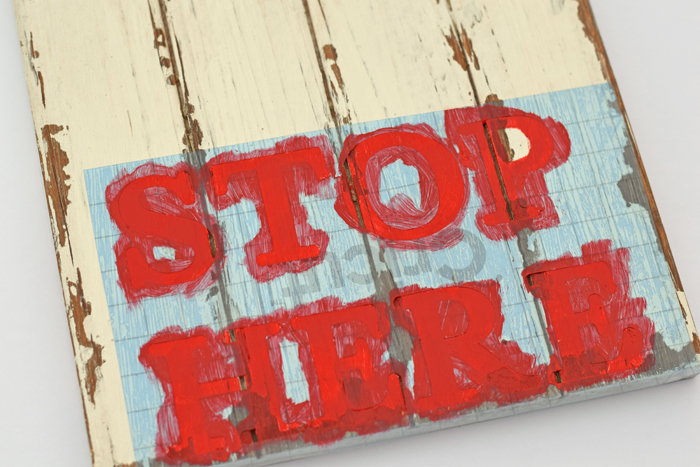 Optional step: Apply a hasty coat of glitter paint over the sign with a paintbrush to had a sparkle! The sign looks cute with a variety of Christmas decor and will go great next to Santa’s cookies and milk on Christmas Eve! Super cute!! I love the choppy paint and way you used the Santa ornament. Very clever ! This is so cute! I love the rustic touch combined with the absolute cuteness. So cute and simple enough that my daughter could help me!